Let them play and make it easy to put the toys away! 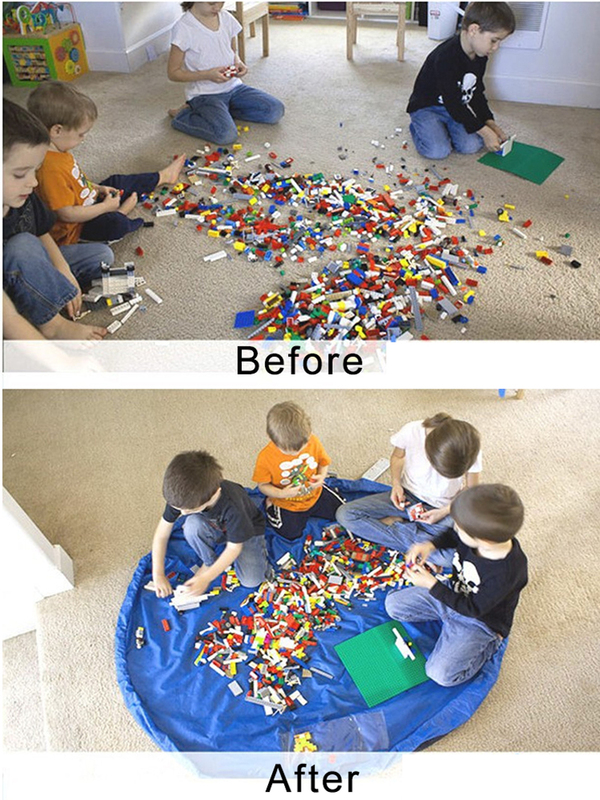 This Playmat Bag lets your kids have fun while making cleanups easy and as quick as seconds. INSTANT TOY BAG - Organize all your kid's toys in this Playmat Bag. This bag has a large capacity, great to keep building blocks, toy cars, stuffed toys and more all in one storage bag. PLAY MAT - Make playtimes easier and more comfortable with this Playmat Bag. Just open the bag, spread it out and it becomes a playmat for your child and their friends. EASY AND QUICK CLEANUPS - Hate picking up every single toy after playtime? No need to pick them up! Just let your kids play on the Playmat Bag, then when they're done, just pull the string until the bag is completely closed and you're done! 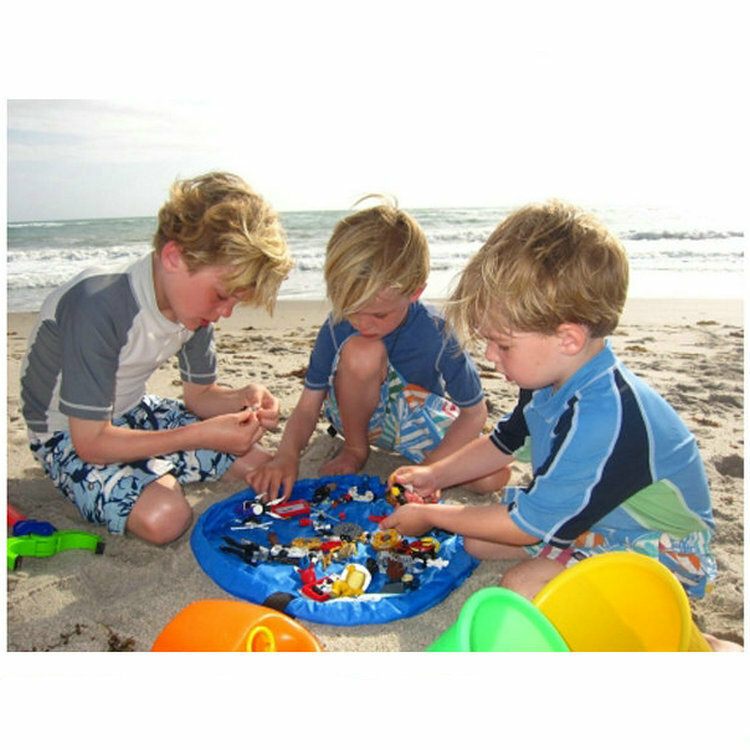 NOT JUST FOR PLAYTIME - Going out for a picnic or a day at the beach? 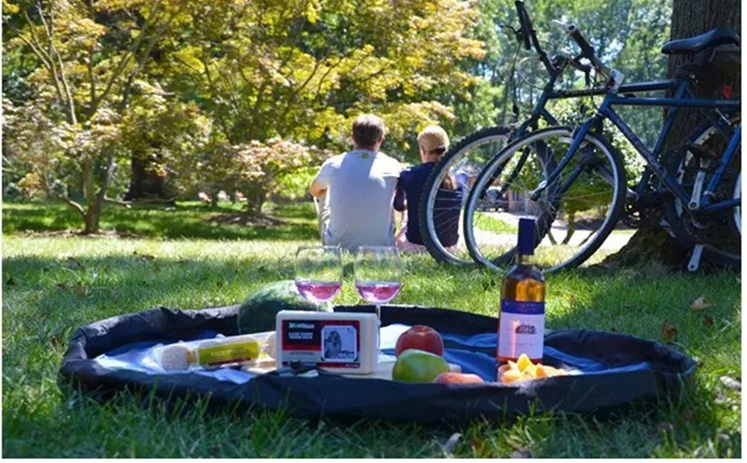 Keep your essentials in this bag to carry everything and have an instant picnic mat or beach mat. Make playtimes a breeze for you and your children! Keep all their toys in the playmat bag now!